I am very excited to join WOW! 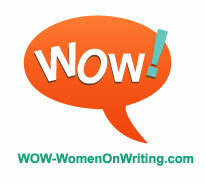 Women On Writing this month for author Linda Wisniewski's virtual book tour. Linda is the author of the memoir, Off Kilter: A Woman's Journey to Peace with Scoliosis, Her Mother and Her Polish Heritage, which I discussed yesterday on my Sunday Salon post. 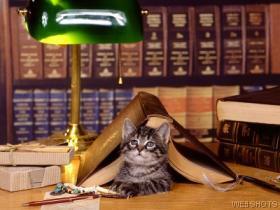 Please welcome Linda to Musings of a Bookish Kitty! When I hold it in my hands, my heart races. Within its pages, I am lost to the world, falling inside to a place as comfortable and warm as a quilt . . . or so exciting it keeps me awake. I travel here in a new book by a favorite author. When I was a little girl, I lived with Nancy Drew, the Bobbsey Twins, Cherry Ames Student Nurse, the Hardy Boys, Rebecca of Sunnybrook Farm, the Five Little Peppers, and Jo and her sisters in Little Women. These, my truest friends, were always available, waiting for me to join them on their latest adventure. I spent long afternoons at the public library, an old Carnegie building fronted with stone columns and a carved scroll that read “Open to All” above the massive doors. When I left home for college in the 1960s, I read whatever my philosophy teacher liked, including Herbert Marcuse and Karl Marx. I read Emerson and Thoreau, the beat poets--Ferlinghetti, Kerouac--and the radicals--Abby Hoffman, Eldridge Cleaver. I had yet to notice I was not reading serious work by women. Right after graduation, I married my boyfriend. One happy year, I lived in Ann Arbor, Michigan while my husband attended grad school and I discovered the first Borders bookstore. My collection of paperbacks soon overwhelmed the shelf space in our tiny apartment. After the marriage ended, I read the journals of May Sarton. Journal of a Solitude got me through dozens of lonely weekends. By then, it was the 1980s, and self-help was the hottest section in the bookstore. I think I lived there for awhile. Every book seemed to be written for me: Women Who Love Too Much, Men Who Hate Women and the Women Who Love Them, Women Who Do Too Much, Codependent No More. I joined a women’s spirituality group. We read Starhawk, Marge Piercy, Margot Adler, Germaine Greer, Betty Freidan, and Gloria Steinem. I decided to read only women authors. My latest favorite genre is women’s memoirs, and Anne Morrow Lindbergh, Annie Dillard and Anne LaMott are among my favorite authors. All three Annes inspired me to write my own story, my newest passion. I am in love with it. I buy it gifts -- fancy gold ballpoint pens, purple ink rollerballs, fat spiral notebooks, scented candles, New Age background music. I long for my writing when I have been away from it for just a day. I lie awake at night thinking about what I plan to do with it tomorrow. And after all these years, I’ve found one of the best parts about a life of reading: meeting others who adore books too. In this love affair, with so much that is new to choose from, there is no cause for jealousy between my friends and me: as long as they return my books. Linda C. Wisniewski writes for the Bucks County Herald and teaches memoir classes for Bucks County Community College. A graduate of the State University of New York at Buffalo, she holds a master's degree from Villanova University and a certificate of advanced study from Drexel University. She is regional representative of the International Women's Writing Guild and a board member of the Story Circle Network. Linda is a contributing editor for the Story Circle Journal and is co-editor of Story Circle Book Reviews. You can find out more about Linda by visiting her website. I really enjoyed reading this post. Nancy Drew and Hardy Boys brought back fond memories of my early years of reading. I've always loved reading about their adventures. I'm sorry to hear about your marriage but at the same time, I'm glad you have those great books to accompany you and to carry you through. You're a tough lady! I absolutely agree that reading has brought like-minded people together. Thanks for sharing your story! What a great post. Linda's passion for books really comes through. Aw, what a great post! I read it with a smile on my face :0) I can definitely relate to the love of reading and books. Thanks for sharing! I enjoyed reading a contemporary's reading journey -- especially as we've shared a fondness for many of the same books. Who else has read The Five Little Peppers? I've read several of May Sarton's journals, love Marge Piercy's poetry, think Anne Morrow Lindbergh's memoirs are so lyrically written, have enjoyed all of the Annes on her list. Thanks, too, for the link! Thank you for a wonderful post, Linda! And thank you too for all of you who took the time to comment. The Bobbsey Twins and Nancy Drew sure bring back memories! Books really are like old friends. And I never grow tired of them. Hey, I grew up with those same people! It's wonderful to see how passionate Linda is about writing. Loved this post! I was a big fan of Nancy Drew, Cherry Ames, etc. when I was younger and now I love reading women's memoirs too. I'll have to keep an eye out for Linda's book.